Integrity and transparency being the center of our work domain, help us to stand out as a true partner to our clients. We are a young, dynamic team with expertise in Mergers, Acquisitions, Process Re-engineering, HR & Business Consultancy services and Business Development. We strive to engage and handhold our clients by enabling them to focus on their core business activities while we work as enablers to the supporting functions. To be the most reputed consulting brand with highest standard of excellence to earn a critical mass of repeated clients. Enable success to clients, partners and people associated with the organization. Bangalore. Shiraj believes people don’t plan to fail they just fail to plan. His interest in investing led him to become a successful advisor. He has travelled extensively across the globe and is a passionate photographer. Nirmal is an is experienced finance professional with expertise in negotiations, mergers and acquisitions, private equity investments and advisory. He has wealth of experience in advising, evaluating and investing in assets/companies across India, GCC and Europe. He has worked across cycle of transaction such as business origination, deal evaluation, financial analysis, deal presentation to investors, negotiations, investment structuring and Monitoring. Most recently Nirmal was associated with Ryan International Group of Institutions as head of global business and corporate strategy. 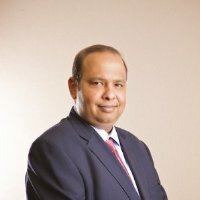 He has worked with in India and GCC with leading corporate houses and investment banks such as JM Morgan Stanley, SBI Capital Markets, Global Banking corporation in various investment, advisory roles. 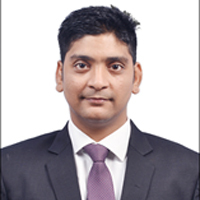 Nirmal is qualified Chartered Accountant from India and Chartered Financial Analyst from CFA Institute USA. 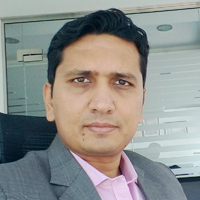 CA Pawan Periwal qualified in 2005, and then added DISA , JAIIB from Indian Institute of Banking, Diploma in IFRS, and various certificate courses in Bank Concurrent Audit, Valuations, and Indirect Taxes, with post qualification work experience of almost 11 yrs. He worked with Barclays Bank, Citi Bank and HSBC Bank. He was awarded with the highest award of the company i.e. COO award for his excellence in the year 2009. However his research and studies lead him to practice in Indirect Taxes. His Core competency and area of expertise includes GST, Corporate taxation, International taxation. He had experience in carrying out diagnostic review of business operations, impact analysis of VAT/ EXCISE/ GST on different business model and had advised no. of corporate clients across verticals. Pawan has been handholding India GST Impact Analysis and GST Implementation for various service industries while India went live with GST on 1st July 2017. He pioneered the concept of training and delivered more than 100’s lectures and training on GST to various corporate and government bodies. His video’s on GST/ UAE VAT can be viewed on youtube channels. He had also author a book on GST named “Simplified Goods and Service Tax”. Pawan has extensive knowledge and experience in handling VAT implementation in Dammam, Kingdom of Saudi Arabia (KSA). Bhavana Shah is co-founder of Prism Advisory. 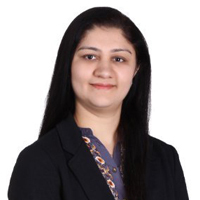 She has more than ten years of experience in consulting, valuations and advisory business in India and GCC. She has worked across sectors like pharma, consumers, real estate on valuation, transaction structuring and specialized investment assignments. She had worked with leading national and global companies like Reliance, Deutsche bank, Ajmal group, Sun pharma, Future group, Raheja group on various national and international assignments. Bhavana is qualified Chartered Accountant from India and possess Masters in Commerce. She has worked with specialized global consulting firms such as RBSA and boutique advisory firm N A Shah in India before moving to GCC. In GCC; She was associated with Alpen Capital for two years in Bahrain and Constance Capital and Consulting in Dubai. Vivek Shenoy is part of the Advisory board of Prism Advisory. He is a respected banking professional with 23 years’ experience in multi-geography and multi-cultural environments across India, the Arabian Gulf and parts of Levant . He is recognized for helping build sustainable business models, which balance risk with reward, achieving efficiencies in business processes and helping organizations achieve stated goals in challenging environments. A trusted board advisor helping boards and senior management in identifying, challenging and making decisions on new business opportunities, organic / inorganic expansions and monitoring overall strategy of the organization with specific performance benchmarks, his core competencies are governance, risk management & processes, leadership development and change management. Vivek also has extensive hands on experience in acquisitions & integrations, strategic planning and post investment monitoring. He was awarded Risk Manager of the Year – India at the maiden India Risk Manager Awards conducted by ET Now and ICICI Lombard in March 2014. 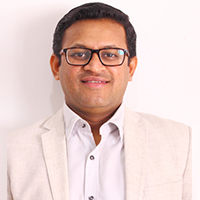 Vivek is currently a director of Cognitive Advisory Services in India which provides services in the realms of strategy, governance, risk and compliance, corporate finance and other financial advisory services. Vivek has previously worked in organisations such as KPMG in the Middle East, Ernst & Young India, Venture Capital Bank Bahrain, BMI Bank Bahrain and Arab Bank Jordan.